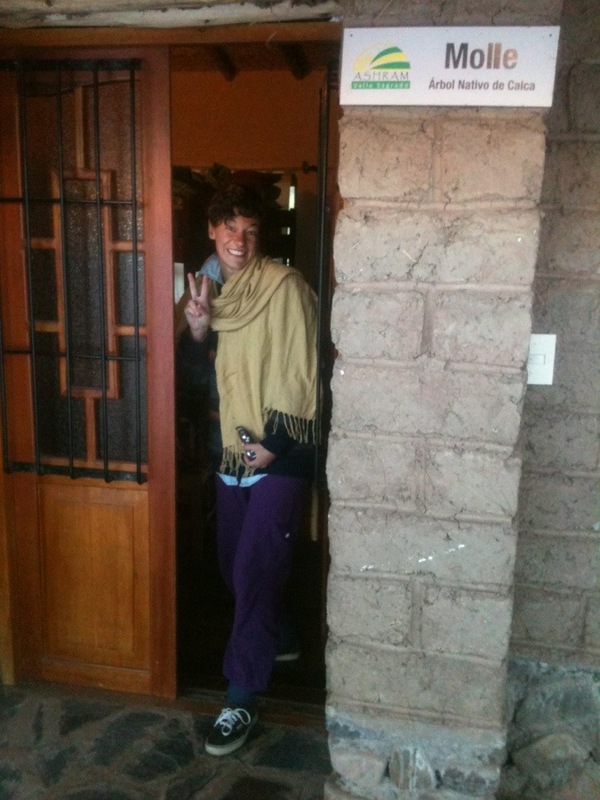 About four months ago while in Colombia I decided that I wanted to go to a course to learn the mediation of Vipassana. 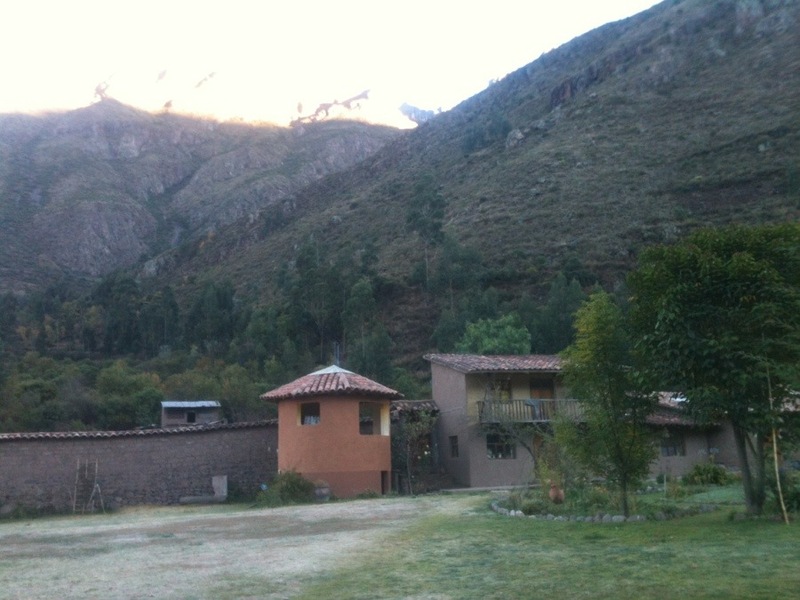 Now, 4 months later I find myself at the Sacred Valley Ashram ready for a 10 day vipassana meditation course. 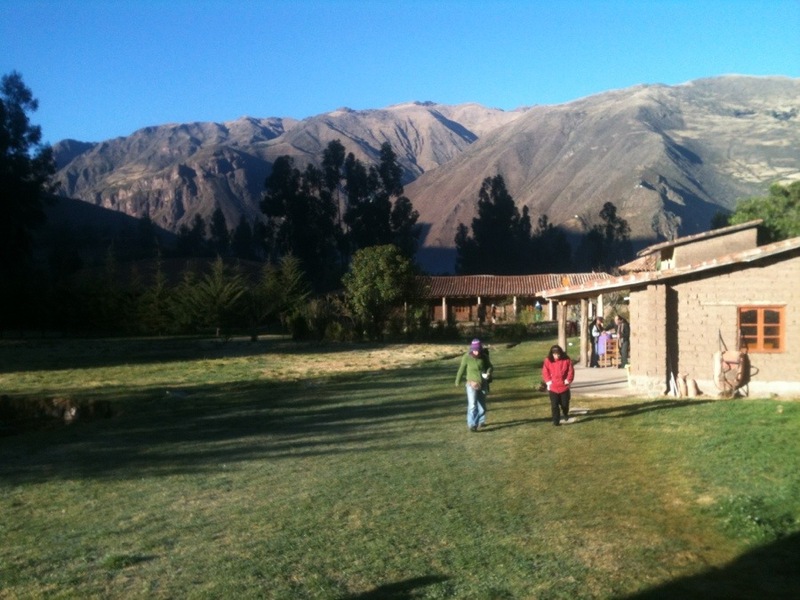 Located in the small town of Calca just one hour outside of Cusco, Peru. The course was put on by volunteers at Dharma Vipassana who host a 12 days long course all over the world for just donations. Its an amazing organization that makes it possible for all type of people to participate in the practice. The course prohibits students to not read, write, talk, make eye contact or eat dinner for the total 10 days. What is Vipassana? Vipassana is a form of meditation from India that is practiced in order to cleanse the mind, making it pure by controlling sensations and reactions. To do this one must train the mind to experience, feel and acknowledge these feelings within the framework of the body. Many people understand realities on a intellectual level but often not on a subconscious and experiential level. For example one knows that if one smokes cigarettes that one can develop cancer. They know this intellectually but, because one has not experienced cancer, the person continues to smoke knowing fully well what outcome of death or cancer. This is also the same with many things in ones life – drinking, eating, facebook, gossip, texting etc. and we do these things over and over again knowing fully well they might not be the best for us. Linked to everything that we do, the body is constantly making sensations. While awake, asleep, consciously or unconsciously we always have sensations. When one tastes their favorite candy or late, a sensation will come and one will associate the action or object with a sensation. At first its subtle but once one practices focusing on the sensations its super easy to be aware of the feelings. For example take one that is an alcoholic. An Alcoholic is not addicted to alcohol, they are addicted to the sensation that they feel while consuming alcohol or the sensations that come later when they are drunk. When someone wants another drink they want the sensation again, it becomes a craving. Cravings can be stored within the body on a surface level and all the way into the deepest part of our souls. They are created cravings that we have had our entire life. Some may call these cravings self created misery and at times we are not even aware that we carry them with us. Think of when you were a child. When you cried (craving) someone held you (sensation). When you were hungry (craving) you were fed (sensation). When you were comparing yourself to others and wanting a new dress or shirt (craving) you go and spend money on clothes (sensation). Sometimes that root of this problem is only satisfied for the moment and in this we have been conditioned that when we have a craving, we automatically expect that need to be met. Often this craving of sensations are what lead many to live in the past or the future, rather the present. The present is where life is and memories and future plans all are distractions from the current bliss we can live right now. What is at the root of craving? Why do we have these cravings for these sensations? Most of the time they seem so natural. The root of craving is attachment. We hold so tightly to a particular feeling, pleasant sensation, or a fluffy expectation that one creates in their imagination. One can spend hours fantasizing about the future and can think about a million things at once. The mind can change so rapidly that one could not keep a diary to keep up with every single thought that comes and goes. The important thing when meditating is to become aware of what our mind is creating and start to control where we want to take it. Eventually after much mediation practice one can feel sensations all over the body. One can reach a statue-like state where they are equanimity with their body and mind. This means one can observe their feelings and metal thought process through a present and active perspective. This observation process is like one that watches themselves from a distance. Realizing that the mind changes constantly. For example, you have an itch on your eye brow, you scratch it. You feel hungry, so you eat. You feel sad, so you cry. You feel angry, so you build anger. Once you become aware of these sensations you learn how quickly thoughts, ideas, memories, and feelings arise and pass away. You understand this in a way you’ve never known and can begin to control your mind. The idea behind Vipassana is that we train our mind to feel these free flowing sensations throughout the body. It takes patience, time, alertness, diligence, intelligence and silence. This is why one does not talk the whole 10 days. Through these sensations one begins to recognize and start to become aware of them. It’s important when feeling a sensation to not judge it as good or bad. One must just observe. All of these sensations teach us the universal truth that everything is constantly changing. This universal truth can be experienced within our own body. It is constantly changing, changing, changing. We often have two reactions to sensations: good or bad. And then two different time frames which our thoughts exists within: past and future. Our lives are so packed and crammed that many of us cannot sit silent for longer than 10 minutes because we feel like we need to be doing something. My friend Kate was with me the entire course, I could not of done it without her. Here is an example of how we multiply our misery by having a simple thought. You are at a cafe and feeling really happy and writing in your journal. Then a couple walks in and a woman gives you a dirty look. This look you cannot get out of your mind. You start multiplying this frustration by verbalizing it to your best friend who also agrees with you that the woman is rude and mean. You become so obsessed with this situation that now a simple look has turned suddenly into a whole movie that keeps playing and playing. At the source of your feeling was just a simple thought that now has manifested anger and rage within yourself. What you perceived may not even be true. Now what you have created has not only hurt your own life but created negativity in others as well. Bottom line is that people cannot live purely by emotions and feelings as it changes so quickly and is so dependent from situation to situation. Instead one can observe this feeling of disgust from the woman and then let it leave as soon as the thought is over. Maybe she was having a bad day, maybe she was looking through you and not at you and what she was doing had absolutely nothing to do with you! By multiplying misery we only ruin our own happiness. This is one example of many ways we tend to be so hard on ourselves and build all of these intense layers of misery. Another example, 4 children that are blind folded do not know what an elephant is. They are all asked to touch an elephant.The first touches the tail and says that an elephant is like a paintbrush. The second touches the trunk and says an elephant is rough and big. The third tries to pick up the back leg of the elephant and says its big and heavy. The fourth sits on top of the elephant and says it is much like a car. Each child has spoken truth, they have not lied. But, they only see their own perspective, not that of the whole truth which requires seeing every single part of the elephant to realize what it really means to be an elephant. When you have a thought about something negative and don’t bring it to life on the verbal level, and just keep it on the mental level, you can observe it and observe that it goes away. You don’t have to have that sadness and multiply it. The same goes with positive thoughts, acknowledging it and then seeing that soon it passes as does everything in life. That way we do not become attached to the craving and desire the bad thoughts to leave as soon as they come. One must remain solely an observer away from the feelings. If ones back hurts from sitting too long meditating one can even learn to observe it and let it be by saying, “there is a sensation and soon it will pass”- This is what remaining in a equanimity state means, no judgment. The same situation, your back starts to hurt and all the sudden your mind goes to the center of the pain. Sure enough, pretty soon your entire back pain will become so intense that you move your posture every 10 minutes for this pain is unbearable. Not only that but now your entire legs start to make pain for you as well! It’s all mental. Lets put it this way, the no talking part was the easiest for me the whole week. 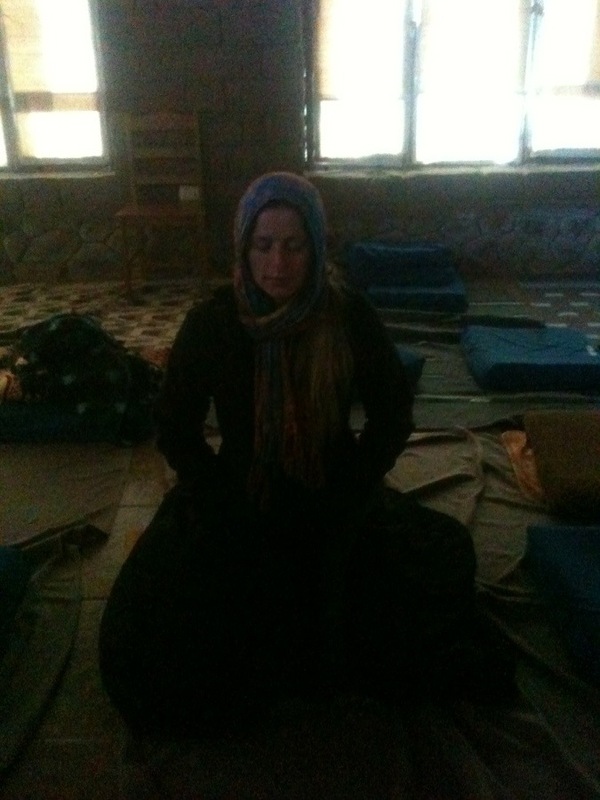 The meditating everyday for almost 12 hour was the most challenging. I’ve never been that quiet for that long in my life. I truly believe that everyone should try this once in their life. You learn so much about yourself by just listening and being quiet. Learning how your mind works can make us become more alert, sensitive, and more joyful. It’s an art of living. I am still practicing the mediation every morning for one hour and still it remains challenging but I have noticed even more of a sense of freedom and deeper joy in my life. I find myself catching my thoughts when they are negative and becoming more aware of the words that I bring to life on a verbal level. What a wonderful gift to be able to get this teaching. In all the course was free and a suggested donation of $200,000 Peruvian Pesos ($75.00 USD) was given as that covers the cost of meals, teacher and for a bed. You don’t have to donate, but it helps the next course. It’s unbelievable how generous people are and how much people are willing to give. Mediation, whether Vipassana or other forms can change ones life. It brings one into the present and allows them to become liberated. What a beautiful gift of silence, stillness, and quality time alone with ourselves. If you have a chance in your life you will never be sorry that you took time to discover oneself for 10 days. Happy mediating to all those who practice!